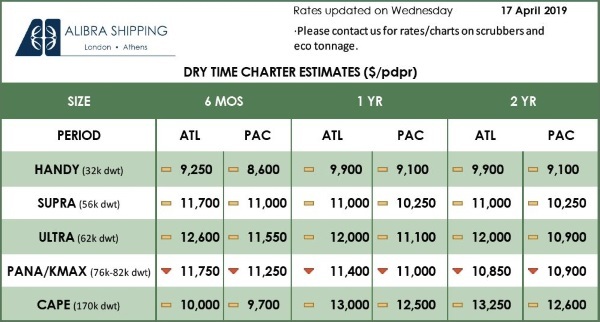 Improved fundamentals could provide an additional boost to freight rates for Suezmax tankers moving forward. 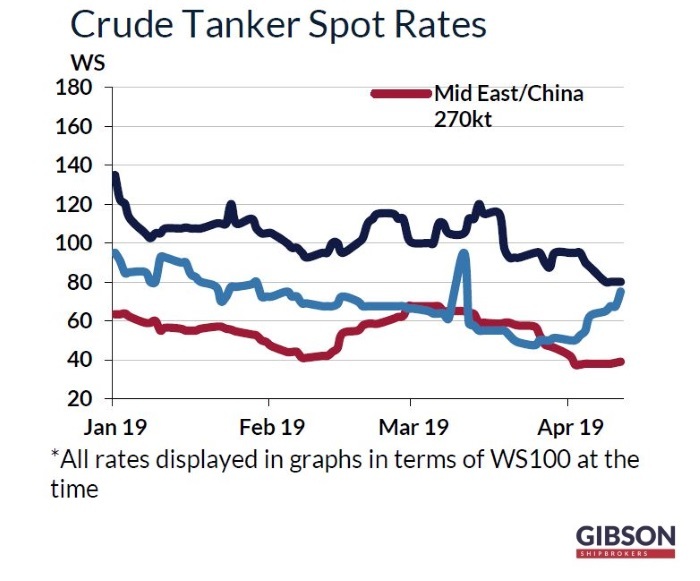 In its latest weekly report, shipbroker Gibson said that “like all other crude tanker segments, Suezmax rates have been on a rollercoaster ride over the past six months. Earnings surged in the 4th quarter of last year, in part due to major Turkish Straits delays, in part due to marginal fleet growth. Of course, other factors were at play as well, such as higher Middle East/Russian crude exports in Q4 2019, prior to the re-imposition of the production constraint. The picture now is very different. Earnings on benchmark routes in the Atlantic Basin declined steadily during the 1st quarter, averaging in March close to OPEX. Once again, the decline has been triggered by a combination of factors. Transit delays through Bosporus eased gradually as the weather improved. In West Africa, exports were hit both in January and February, mainly due to lower shipments out of Angola. Cuts in crude exports out of the Middle East also had negative implications. While trading demand has come under pressure, fleet size has increased. According to our records, 19 Suezmaxes were delivered during Q1 but just one tanker was reported as sold for demolition. The picture is similar for VLCCs and Aframaxes/LR2s. There were no demolitions in these size groups in Q1; however, 20 VLCCs and 28 Aframaxes/LR2s were delivered”, Gibson said. 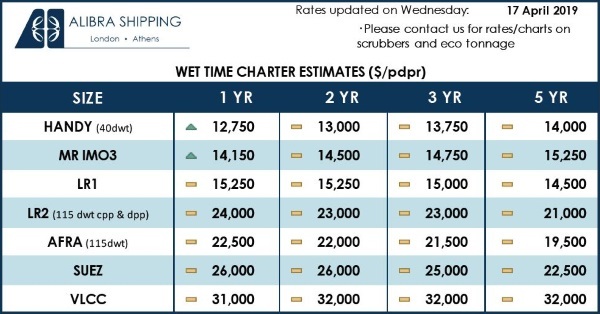 According to the shipbroker, “despite the poor conditions at present, fleet prospects for Suezmaxes look more balanced for the remainder of 2019. Only 12 tankers are scheduled to commence trading operations, while the market could also see some units being demolished. 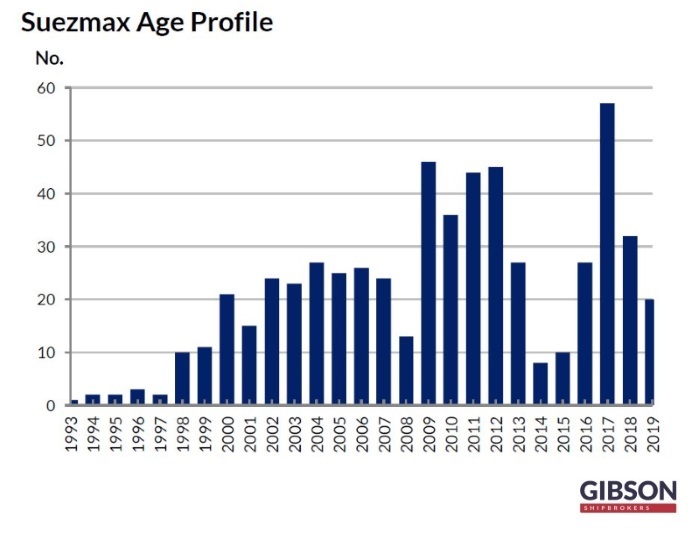 There are 21 Suezmaxes currently on water that are over 20 years of age, plus another 11 will celebrate their 20th birthday this year. With testing market conditions for modern tonnage, trading environmentfor ageing ladies must be even more challenging, increasing the appeal of demolition. In contrast, more deliveries are planned in the VLCC and Aframax/LR2 segments. 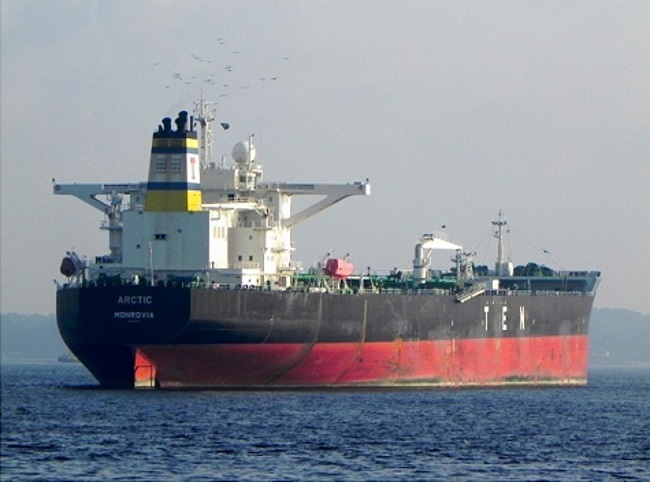 Here, 54 and 27 tankers respectively are scheduled to starttrading until the end of 2019”. Gibson added that “the near-term outlook for earnings also depends on demand prospects. About half of all Suezmax spot fixtures originate out of West Africa and the Black Sea/Mediterranean. In addition, about a quarter of trade comes out of the Middle East. As the largest crude exporters in these regions are OPEC members or countries participating in production cuts, Suezmax trade prospects are largely linked to future OPEC/non-OPEC output policy decisions. Although the official OPEC rhetoric does not indicate an increase in output anytime soon, firmer oil prices due to sanctions and escalation of conflict in Libya certainly support an argument for higher production. Earlier this week, OPEC admitted that production cuts and involuntary declines in Venezuela and Iran pushed the oil market into deficit last month. More importantly, the call on OPEC is likely to intensify substantially in the 2nd half of the year, once global refinery turnaround season is complete, refiners ramp up crude runs ahead of the IMO 2020 and new refineries begin full scale commercial operations. Of course, higher demand for crude will benefit all crude tankers, not just Suezmaxes; however, healthier supply fundamentals for this size group may offer a little bit extra”, the shipbroker concluded. Meanwhile, in the crude tanker market this week, Gibson said that in the Middle East, “VLCC Owners may feel that they let opportunity slip to make a more marked improvement given the relatively heavy mid-week action, but all the while their efforts were compromised by equally heavy, ongoing, availability and the slow close to the week prevented momentum taking hold. Rates did crawl a little higher to touch ws 40 to the Far East, with West runs very rare, and still under ws 20 via cape. Suezmaxes could only slide sideways upon very modest demand, but would have threatened lower if the other load zones hadn’t posted gains. Ballasting from/by-passing the area is now more viable. Aframaxes also stayed on the slow side, with 80,000mt by ws 100 still the average asking level to Singapore. Discounting on the near horizon if activity doesn’t quickly pick up”.